D.C.'s newest music venue, The Anthem, opens at The Wharf on the Southwest Waterfront on Oct. 12, 2017, and now we know the headliner. WASHINGTON — D.C.’s newest music venue, The Anthem, opens at The Wharf on the Southwest Waterfront on Oct. 12, 2017, and now we know the headliner. Concert promoter I.M.P. announced Monday the show will boast hometown heroes The Foo Fighters. Tickets go on sale to the public this Friday, June 16 at 10 a.m. through ticketfly.com or in person at 9:30 Club, Merriweather Post Pavilion and Lincoln Theatre during their normal box office hours. 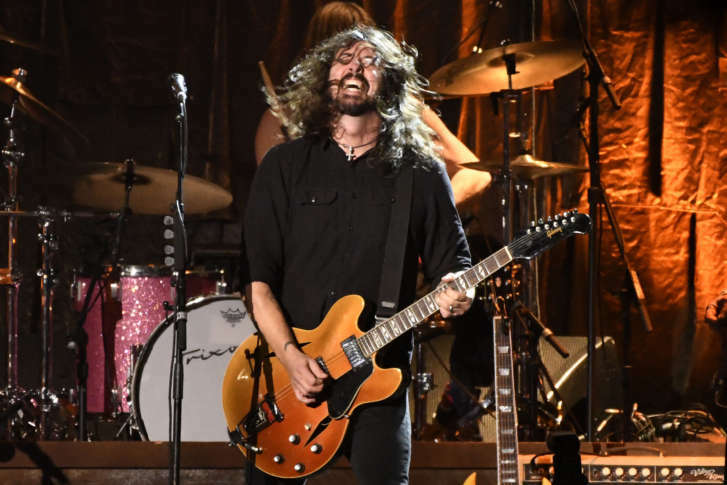 Foo Fighters founder Dave Grohl spent his formative years at the original 9:30 Club on F Street, first as a patron then behind the drums in Scream and Nirvana. Later, Grohl would play the new 9:30 Club location with The Foo Fighters and Them Crooked Vultures. Most recently, he played Lincoln Theatre with the Preservation Hall Jazz Band and The Foo Fighters’ 20th anniversary tour at RFK Stadium. A couple of months ago, Hurwitz actually walked Grohl through The Anthem during construction. Grohl himself sang the venue’s praises, ratcheting up the excitement. Later this month, I.M.P. will announce more than a dozen 2017 shows at The Anthem, which will have a flexible capacity of anywhere between 2,500 and 6,000 people. The venue will cost $60 million to build as part of The Wharf, the waterfront development by PN Hoffman and Madison Marquette.